Offer your guests the option to purchase physical gift cards directly on your website—no faxing, faster transactions, more sales. 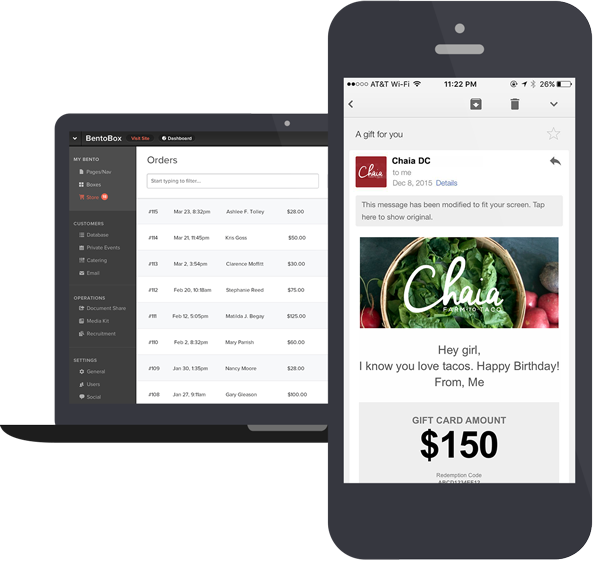 We'll provide the credit card form and all the backend order capabilities, and you provide the POS integrated cards. Store and track gift card purchases on one easy system—simply set up a gift card tender on your POS, and start selling. Use BentoBox's dashboard to redeem or decrease the value of digital gift cards, and track the order history of your guests. 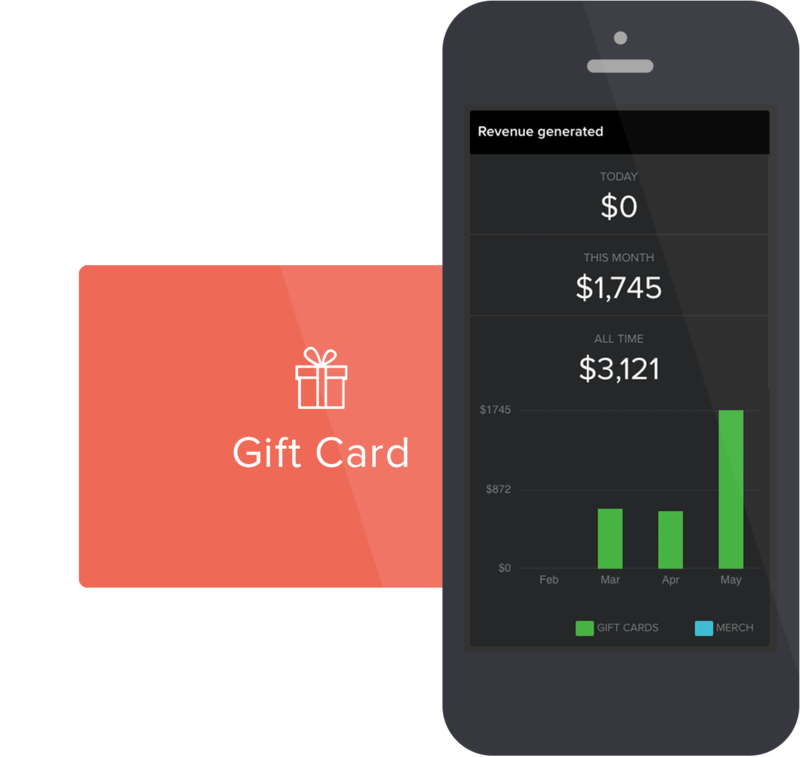 BentoBox makes it simple to offer gift cards for charity or to a disgruntled customer. There's no transaction needed and everything can be done right in the BentoBox platform. BentoBox also make it easy for guests to buy and redeem digital gift cards. We provide the form and backend capabilities, along with a branded email to the recipient featuring a unique code that can be printed out or displayed on their mobile phone.